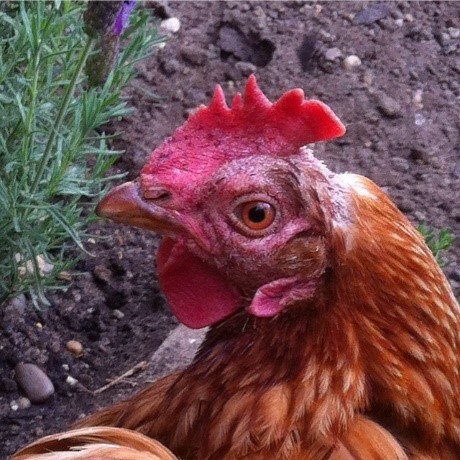 Titch is an ex-battery hen, who spent the first eighteen months of her life living in a tiny cage at a commercial egg laying factory in the United Kingdom. 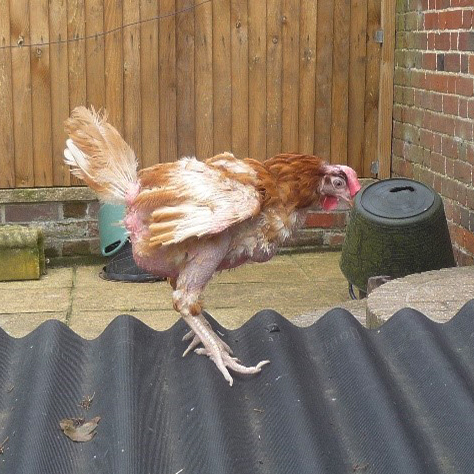 Titch was rescued from slaughter by the British Hen Welfare Trust (BHWT). Since relocating out of the city and into a 2.5 acre home in rural Norfolk, Nicky Cullum and her son, Peter, decided to participate in the BHWT’s ex-battery rehoming programme. In 2014, they adopted Ginger, Nutmeg and Cinnamon. 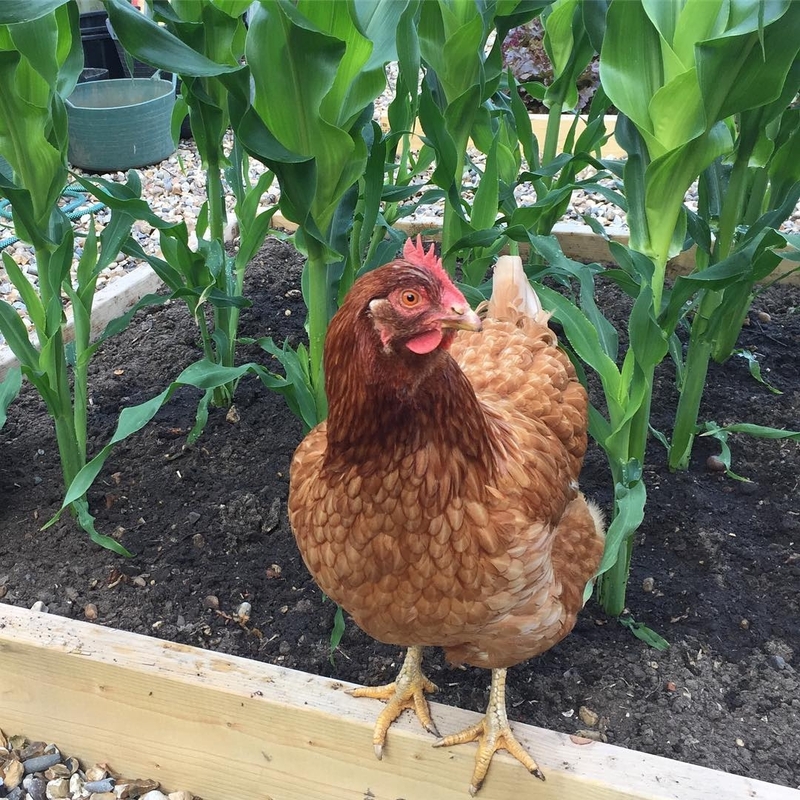 In July 2015, Nicky decided to rescue a couple more hens through the BHWT, which is how she came to know Titch. When Nicky first laid eyes on Titch, she was a tiny, frail little bird with bare patches of skin instead of what should have been covered in feathers. 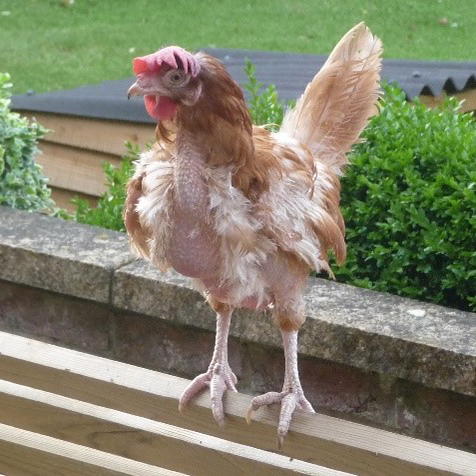 Nicky was hoping titch might stop laying eggs since she was no longer at the commercial factory, so that she could have time to recover and regrow her feathers. 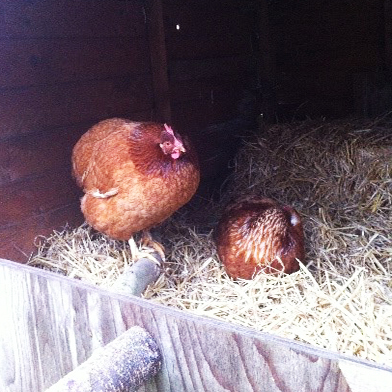 However, Titch never stopped laying and in fact she rarely missed a day. Also, for such a little bird, she laid enormous eggs. 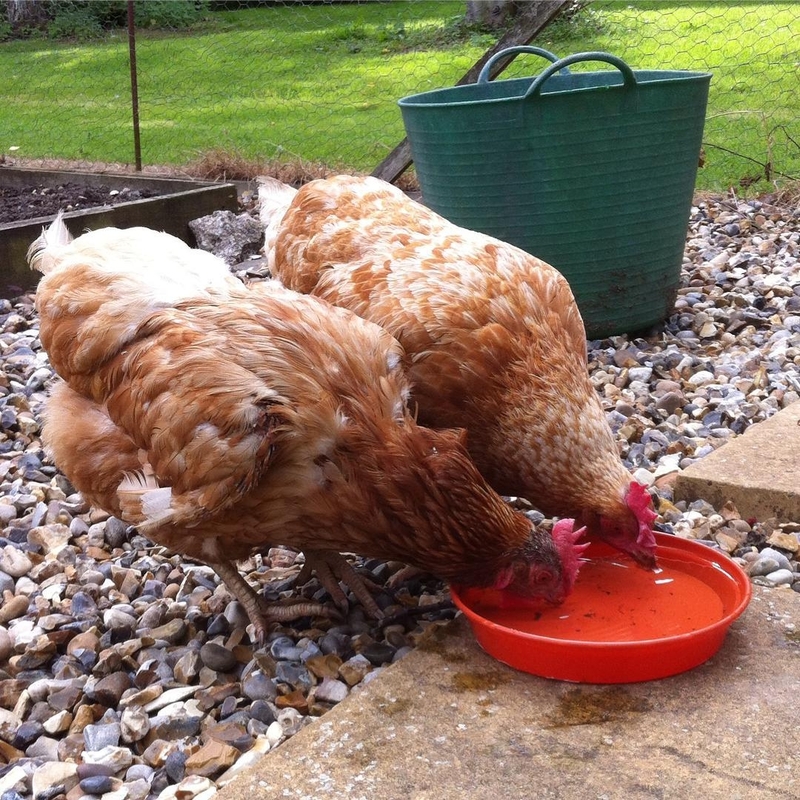 Once Titch settled in to her new home, she formed a very close friendship with Ginger, who was one of the hens Nicky had previously adopted in 2014. For almost two years, Titch was always by Ginger’s side. Sadly, in December 2016, Ginger died. During her last few days, when her health had started to deteriorate, Titch never left her side. As Ginger would settle in a nest of straw and sleep most of the day, Titch sat on a perch a couple of inches above her, and kept watch. 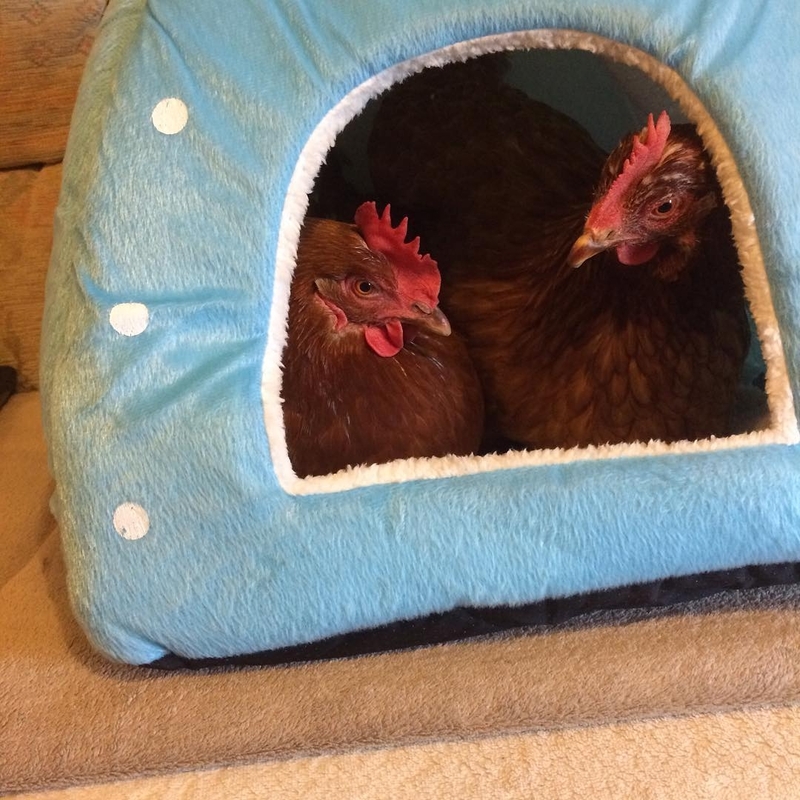 Nicky had never before seen such as display of concern and loyalty in a hen such as that she witnessed by Titch with Ginger. Initially, Titch had no problems with her eggs—they were hard shelled and in perfect condition. Then, all of a sudden she started laying thin-shelled eggs which would be very fragile, and break easily. Sometimes she would pass white and yolk with the soft shell following later. Nicky started to get worried about the possibility of Titch developing a secondary infection, as a result of the reproductive problems she was having. She started doing research on different methods of how she might be able to stop Titch from laying anymore eggs. She discovered that hormone implants were widely used in Australia to stop ex-battery hens from laying. So Nicky called up her veterinarian and discussed whether he would be willing to treat Titch with a hormone implant, in order to prevent her from developing an infection. He agreed. Nicky scheduled an appointment for Titch to see the veterinarian, in which Titch was administered her first hormone implant (Suprelorin). The implant itself was very tiny, about the size of a grain of rice, and was injected under the skin on Titch’s breast. Nicky was told by her vet that it may take up to 14 days for the hormone implant to take effect. The doctor also advised Nicky that any future eggs Titch laid between implants—normal or abnormal, should never be eaten since they will contain residue hormones from the implants. The next day, Nicky noticed a dramatic decline in Titch’s health—she was standing hunched-up, lethargic, and looked terribly uncomfortable. Unfortunately, Titch had developed an infection in her reproductive before the hormone implant effects could take place. Nicky scheduled an emergency appointment that same day for Titch to see their veterinarian. 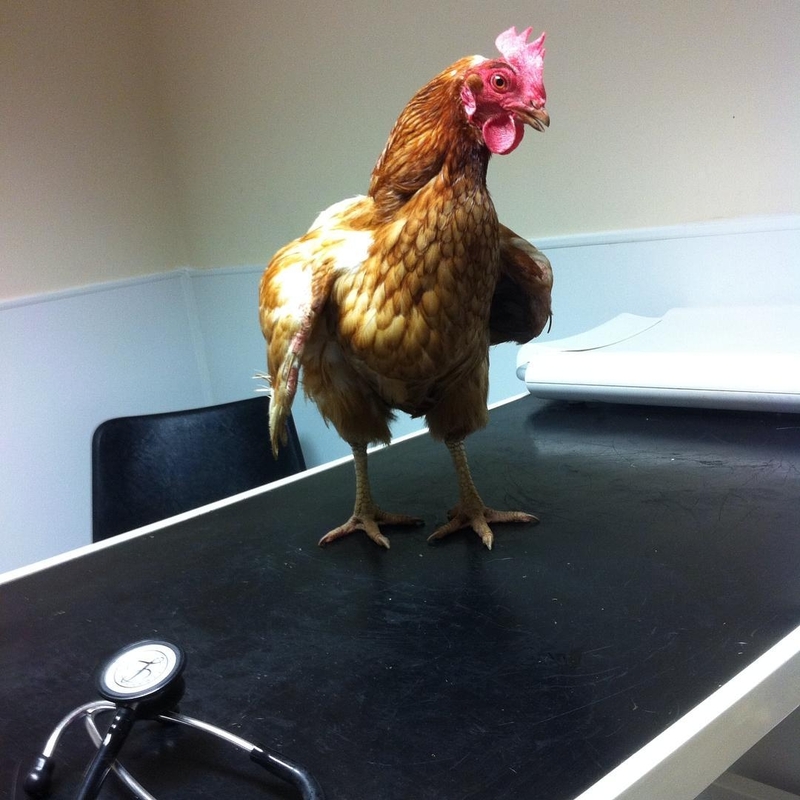 At the appointment, their doctor give Titch a physical examination and diagnosed her with egg yolk peritonitis. He prescribed her some antibiotics (Metronidazole (Flagyl) and Enrofloxacin (Baytril)) for the infection. Within 48 hours of starting the antibiotics, Titch’s health had improved dramatically. Four days later, Titch laid one egg. After that, she stopped laying altogether---well at least for the next 4 months (at which time another hormone implant must be administered). Titch’s behaviour changed, causing her to become much more timid and wary, much quieter, and generally seems to act anxiously. Titch had never moulted before receiving her hormone implant. For the first time in a year and a half, she moulted---which did not happen gradually (which is what normally occurs), it happened all at once. Pin feathers appeared all over her body. During this time, Titch was inactive and stressed. Nicky fed her meals with higher protein levels to help during the regrowth of her feathers. 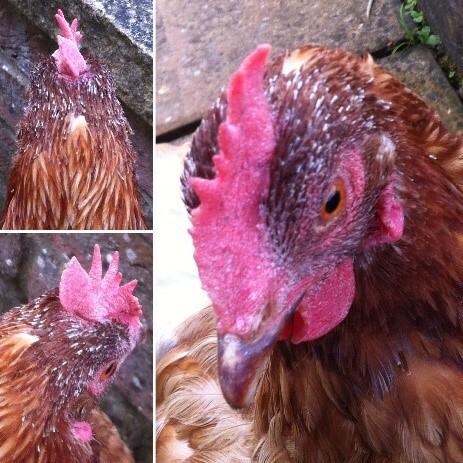 After her moult was complete, Titch’s feathers looked much healthier. Subsequent moults have been more gradual. 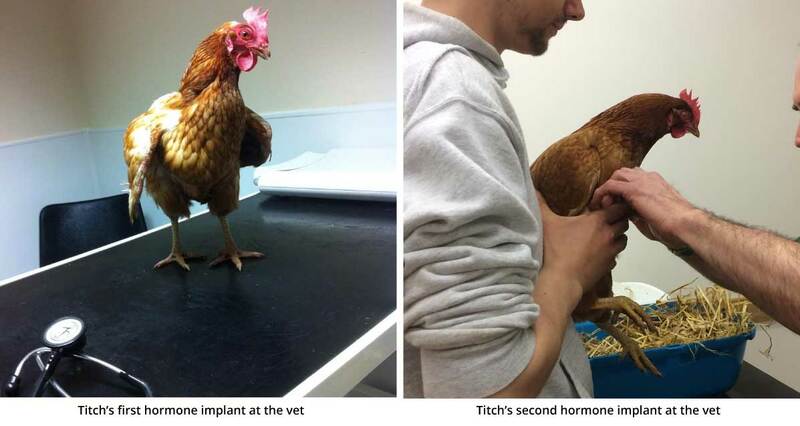 Titch is now on her third hormone implant. Each time the effects of the implant start to wear off (usually around month four post-implant), Nicky will monitor her in the hope that her eggs may improve, however typically finds that they quickly become thin and abnormal again quickly. The reason why Nicky is continuing the implants with Titch, is to prevent the risk of reproductive tract infections associated with egg laying. 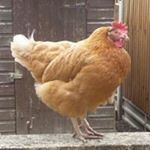 Nicky encourages anyone who is interested in the hormone implants, to discuss this option with your veterinarian, and to consider using it only if your hen needs it. This is because over time with continued use, the effects of the hormone implant can start to diminish. In addition, there are some side effects associated with hormone implants which should be considered and regularly monitored. The British Hen Welfare Trust (BHWT) is a charity in the United Kingdom which was set up to educate the public about laying hen welfare. 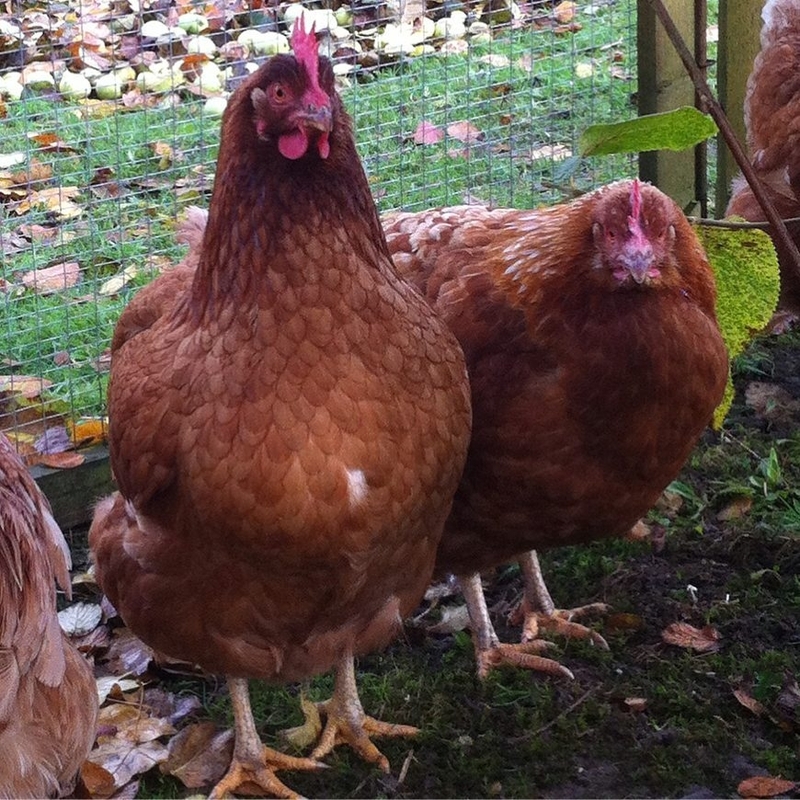 They also facilitate large-scale re-homing of commercial laying hens that would otherwise be destined for slaughter. 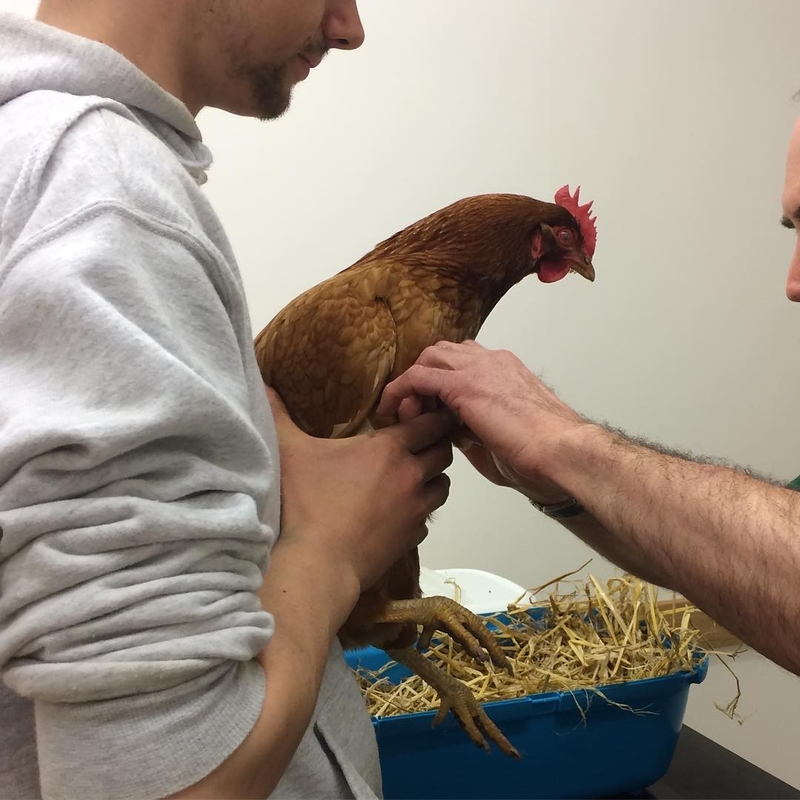 Each year they save approximately 50,000 hens from slaughter and find them caring pet homes through our network of 32 regional pop-up centres so they can enjoy a free range retirement.